Christ Church Beckenham is one of the Parish Churches of Beckenham in the London Borough of Bromley.  We are part of the Church of England and within the Diocese of Rochester. We are an Evangelical Anglican Church which means that we believe in the authority of the Bible, the uniqueness of the Lord Jesus Christ, the centrality of the Cross, the necessity of conversion, the proclamation of the Gospel and also in God’s continued presence and revelation through the Holy Spirit. We are learning to respond more to God’s call to reach out to the world as we become more rooted in our relationship with Jesus Christ our Saviour. A place where a person with no church background can come and feel comfortable and enjoy the service because the atmosphere will be friendly. The sermons are always practical, biblical and relevant. The music is a mix of contemporary and traditional, with the main morning service being more contemporary and upbeat with a praise team and worship band. CCB is a church that is fun for the entire family, a church where children and young people want to go because they have a great time experiencing God’s love. Where those on their own can find an easy welcome and a safe place. We want to help people encounter the love of Jesus, deepen their relationship with him, transform the lives of those around us and build the Kingdom of God right here and now. Outward reach can change the world. We have to be bold and courageous. Jesus commanded us to go into the entire world and present the good news. Rev. 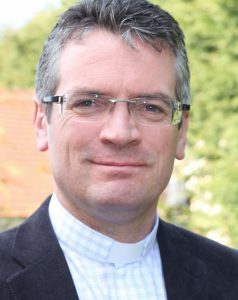 Rob Hinton became Vicar of Christ Church Beckenham in November 2013 after 4yrs as Chaplain to Leeds Business Community. Prior to that he ministered in parishes in Cheshire and South Manchester in communities and churches across a massive social spectrum; from one of the poorest council estates in Chester to one of the wealthiest areas of the UK. Rob studied Theology and Ministry at Durham and prior to that worked in social housing after completing has degree in Geography and Social Ethics at Lancaster. Rob is married to Andrea and he is blessed with three wonderful step-daughters.